It’s About Time: Dancing Black in Canada 1900-1970 illuminates the largely undocumented dance history of Canada’s Black population before 1970. Featured are individual performing artists such as Leonard Gibson, Ola Skanks, Ethel Bruneau and Joey Hollingsworth. 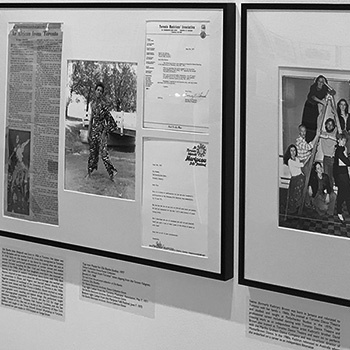 The exhibit exposes the representation of Blackness on Canadian stages by non-black artists through blackface, as well as audience and media reception of Black performance in Canada during this era. It’s About Time explores legislation and leisure culture, dance lessons and the role of social dances at mid-century. It’s About Time was first commissioned by Dance Collection Danse Archives and Gallery and opened in January of 2018. From June-August 2018, it was at OCAD’s Ignite Gallery. In 2019, SummerWorks Performance Festival has invited the exhibition as part of Progress.